thebahamasweekly.com - Angelika Christie receives The Leadership Award for Wealth & Freedom Mentorship from the Speaking Empire in Tampa FL. Angelika Christie ND, Life Transformation Coach, Motivational Speaker, Best Selling Author and Wellness Authority was awarded the prestigious LEADERSHIP AWARD from the Speaking Empire. 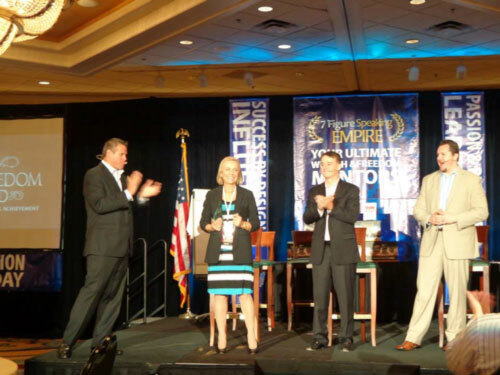 Tampa, FL - At the recent Marketing and Speaking World Summit in Tampa FL, Angelika was presented with the Leadership Award after presenting two Ted Style talks on two consecutive days to a distinctive crowd of Business Leaders and Entrepreneurs. She deeply touched the audience with her authentic and inspiring talk; the story about her trial and how she conquered Fear and now lives her passion to help women claim their happiness and ultimate Freedom. She was invited to join the inner Circle of the Mastermind Group of highly influential US based, and international business leaders including Mitch Russo (Mentor of Tony Robbins), Tom Collins (former Executive of a 175 Million Dollar Company), Russ Whitney (Billion Dollar Real Estate Guru turned Spiritual Author), Robert Allen (10 times international bestselling Author and founder of the “Enlightened Wealth Institute”) and Kevin Harrington (Infomercial Guru and a ‘Shark’ on Shark Tank) …just to name a few. In her latest presentation to the venerated members of the Mastermind, Angelika Christie presented a Joint Venture opportunity for high-end Wellness and Business Retreats on Grand Bahama, for which she received applause and many endorsements from members of the Mastermind Group. Angelika’s passion is to empower women to become the best they can be. 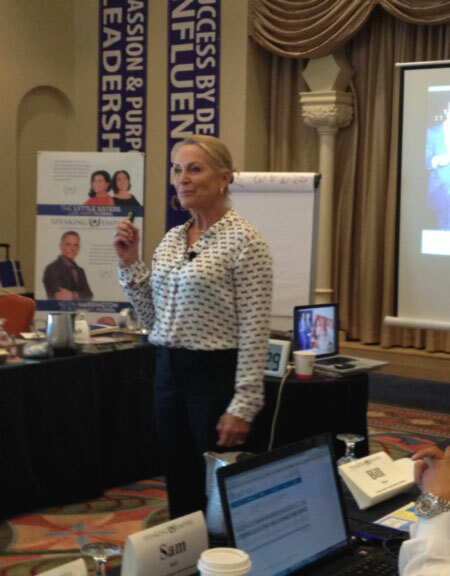 She introduced the “Four Pillar Sequence” at the Mastermind. Dr. Angelika Christie says that after decades of scientific research and professional expertise, she discovered that there are Four areas of life (Four Pillars) which represent the only correct sequence for lasting success according to natural law. Angelika believes that Women are the Pillars of a new Consciousness and need to step up to take their rightful place in their communities and the world at large. Dr. Angelika Christie founded Radiant Health Center in 1986 in the Bahamas to facilitate Self- Knowledge and radiant health according to the Laws of Nature. Angelika says that Grand Bahama Island is the perfect place to renew the Body, Mind and Spirit in a beautiful and safe environment. Angelika’s unique Spirit/Body/Mind/Wealth programs and workshops, facilitate her client’s desire to live a fearless, joyous, prosperous life on purpose. Angelika holds the highest integrity, excellence and love for her clients. Dr. Angelika Christie is a Naturopath, International Speaker, Seminar Leader, Reiki Master Teacher, Yoga and Meditation Teacher, Writer, Author and a certified Heart Intelligence and Life Transformation Coach. She received numerous Awards for Excellence in her professions, which include the ‘Golden Quill’ Award, the ‘Best Selling Speaker’ Award, and more. Angelika Christie is also a member of the “Madison Who’s Who” of Executives and Professionals who have reached a level of recognizable success in their respective fields.